Windswept Productions (Murray Lachlan Young, Paul Jespon and I) have just completed a research and development process on our latest project, RUNNING STAG. The project consists of two elements – a stage play (being written by Murray) and a digital play (being developed by Jason Warren). This article – adapted from our evaluation for the project – explores our thinking about the Digital Play, as a result of the R and D.
Like most good things the idea for the digital play began over coffee, this time as we were discussing the highs and lows of The Incomers. One of the things that was clear was how much social media buzz the show had generated. We began to wonder how we might harness the power of our social media ‘backing’ and to find a way of creatively engaging and challenging these audiences and not just be ‘selling’ them a show. How might characters spill into the digital world for example? Or how might a wider story be told than is simply possible in the two hours traffic of a play? Right from the start we were clear about some first principles. Firstly we wanted to bring an additional writer into the project, someone who would be specifically tasked with driving this ‘element’ of the project. Second we wanted to create a digital play which was both a piece in its own right and an integral part of the whole project (and not just an add on). Thirdly we wanted the digital play to be a way in which we could offer more and continue to develop our relationships with venues, in a strange kind of way make a touring theatre show place responsive. ‘We don’t want to narrow the ideas around the digital play too much, apart from saying the parallel piece will exist online, that it will allow for participant engagement and we are interested in a work that explores the relationship between the online and live narratives. We are looking for a writer or curator interested in developing cross-platform, digital narratives for online audiences. We are looking for original ideas and thoughts. We are looking for someone interested in exploring the relationship between a stage play and a digital play. It’s been a critical principle for us that the digital play and theatre play are developed in tandem, and that they can respond creatively to each other. So Jason attended both workshop weeks in Exeter (with the Bike Shed Theatre and Exeter Phoenix) and Bracknell (with South Hill Park aand SHP Live) – working with and alongside Paul, Murray and the actors. The weeks were an opportunity for Jason and Murray to work together – for Jason to respond to Murray’s ideas and plot development and visa versa. It was also an opportunity for us to identify the challenges we will face in realising the digital narrative. Finally it was an opportunity for us to answer two very simple questions – does this work and equally important is this any good. The first workshop week became, in effect, a fact finding mission and the second workshop being an opportunity to run a ‘test’ of the online play. The online ‘test’ was primarily a structural test with the content designed to be interesting and varied but with a focus on stress testing and the audience journey through the story rather than the quality (at this stage) of the narrative or design. Our test audience mainly began at one of two places: the Brackwell Stag Temple (which required sign up, password stagtemple ) or Mills’ Musings (which was open access). From here, there is an expanding web of sites spreading outwards from these two hubs. The sites are layered in increasing levels of obscurity (how likely they are to be discovered), and the story is structured accordingly. So ‘readers’ might also move onto The Local Observer, Brackwell Uncovered or Jonnie’s Tumblr. Spiralling outwards from these, the really investigative audience encounters might discover a shadowy occultist group with uncertain motives, a network presenting itself as an online shamanistic resource and ultimately – well that would be telling! Those who explore a bit more will become involved in a three way hidden struggle between the various shamanic groups, the obsessive hacker and the Deep Web. In all there was an audience of 65 active test users, 43 of whom signed up to one or other of the plays e mail lists. 73% of those who accessed the network were still accessing it again at close of play. Four users ‘completed’ fully the test narrative. ‘solving’ the mystery. Along the way we learnt much – about starting points, about the different ways in which audiences engaged, about what kept audiences and what sent them running away. The level of interaction took us by surprise (some users even set up an online facebook page about the story) and we can assume that interaction and engagement will grow exponentially when we run the whole narrative. Above all though we were pleased with the overall readership and retention figures. The final stats indicates that our structure broadly works and people are drawn in, moving freely from site to site across the story. As the week progressed users arrived on the network that were not directly invited by Windswept. If organic growth like this were to continue in the full project (and given how unpolished this run was, one can’t see why it wouldn’t), it has significant implications on both the success of the narrative AND the way it could raise awareness of the play itself. The test has also been helpful in throwing up a series of (not unexpected) challenges. Not surprisingly principle amongst these is the narrative relationship between the stage play and the digital play. As the ‘back stories’ changed in the rehearsal room some of the online ‘test’ narrative became redundant. Even the smallest changes in the rehearsal room had a ripple impact on the narrative of the online play. 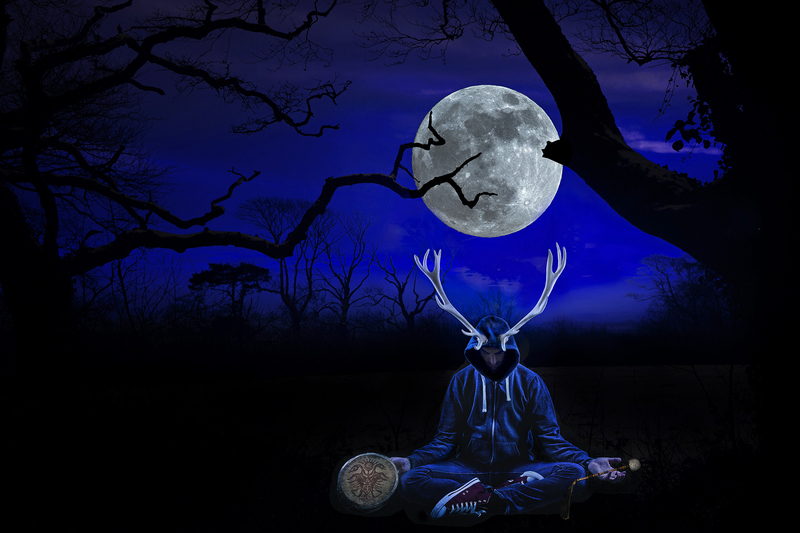 Now that the scenario for ‘Running Stag’ has been confirmed this is unlikely to be as much of a problem, in fact the issue is likely to be the other way round as audience interaction takes the online narrative in unexpected directions. The amount of interaction which occurred during the test also suggests we will need to ensure we have enough man power to respond effectively. Also occurring as a result of the ‘test’ was the question of entry points into the story, and the amount of information a ‘user’ needs to know before they arrive. In the ‘real’ story there will be a number of different starting points (in bochures, for ticket holders, for experienced transmedia users etc). With each starting point it’s reasonable to assume different levels of information (and ‘hand holding’) will be needed. Finally a key technical and narrative challenge, and one not tested during the Bracknell research and development is the timing of the online story in relation to the tour dates, in order to achieve an element of place responsiveness and so the timelines of the play and the online narratives coincide. The successful test has led Windswept to conclude that Jason’s concept works – and that our hunch to develop the online activity in tandem with the stage play really works, and has considerable potential. ‘Working under this commission has given me a platform to explore ideas that have intrigued me for quite some time. I’ve often tried to make a niche for exploration of the digital world through my theatre work, but have never before had the brief to focus wholly on this. I’m more inspired now than I was when I offered my initial pitch, and see this as the start of a process that will continue to grow long after Running Stag takes its final bow. Firstly we are continuing to evaluate the user experience which will help us to further evaluate and improve the finished product. Secondly we will be fleshing out and developing the narrative (both in terms of design and quality). Thirdly we will be exploring with our venues how they will use and engage with the digital play.